I have a vivid memory of when I was a little girl. I was with my parents and younger sister at the Christmas party of Weimer Packing Company. My dad worked at the Wheeling-based meat packing company, which threw an extravaganza of a holiday party each year. There was a fancy dinner, fancy decorations, a visit from the real Santa and Mrs. Claus – who gave us shiny new toys – and, my favorite, a live band playing dance music. My parents danced to the big band classics of the ‘60s, but my dad also took his little girls a whirl on the dance floor. And it meant the world to me. In my pretty dress, I was dancing with the most handsome, awesome man in the whole wild world – my daddy. He taught me how to two-step and he was very smooth on his feet. I felt like a princess. 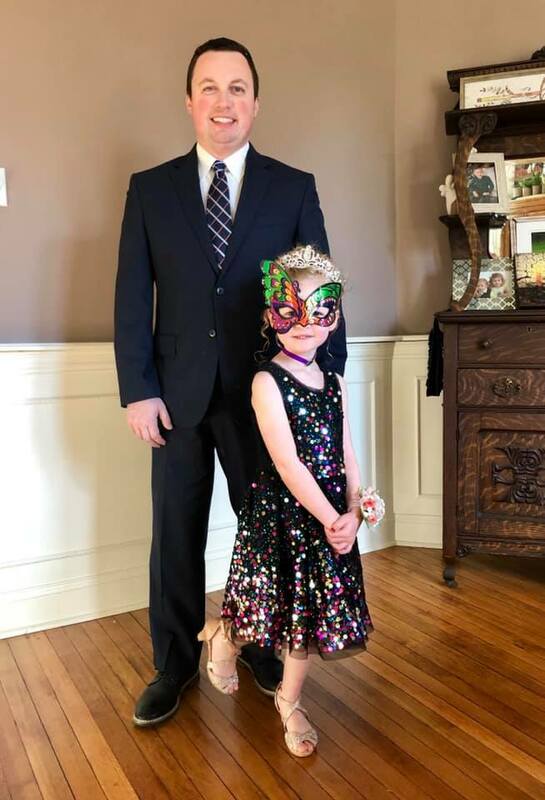 That is one reasy why I loved looking at all the pictures from Friday evening’s Mardi Gras-themed Father-Daughter Dance for Simpson Elementary school girls and their daddies. There was dancing, but beforehand, there were flowers, dinner dates and plenty of photo ops. I’ve collected a few of these photos and I invite you to send me yours, also. You girls all looked absolutely beautiful and you daddies have made lasting memories for your daughters; memories they will treasure forever. Julie Perine can be reached at 304-848-7200 ext. 2 or by email at julie@connect-bridgeport.com.